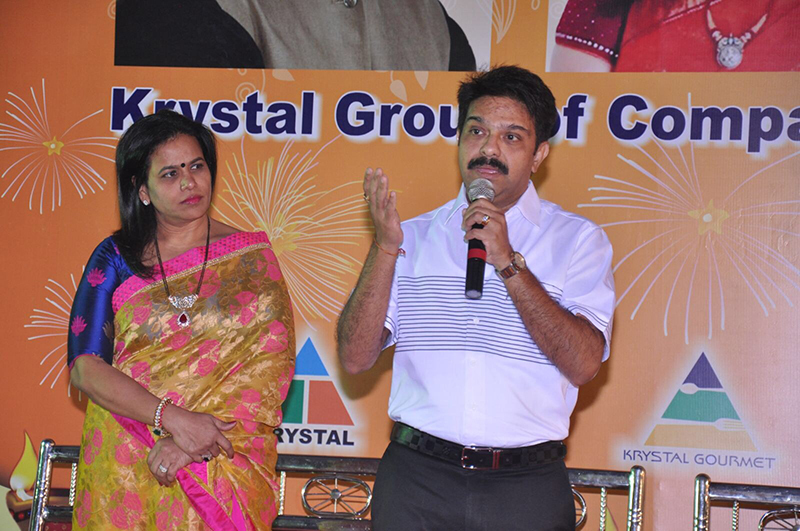 “Helping Hands” – Krystal Family. 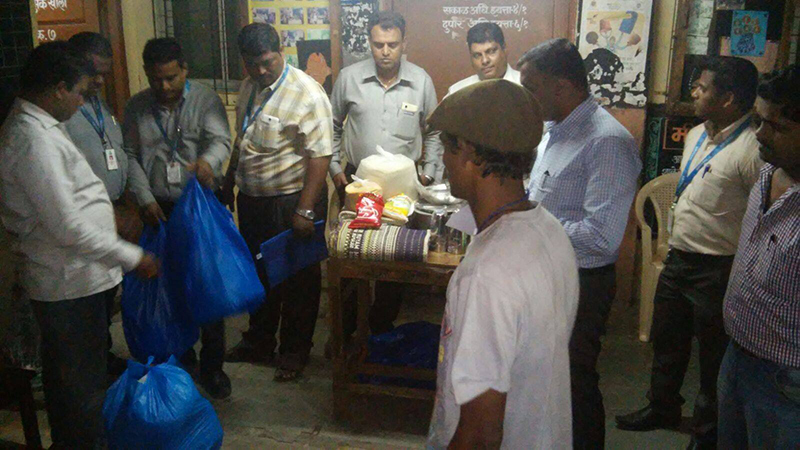 In the latest Unfortunate incident of “Fire Blaze“ which engulfed the whole of Damu Nagar slum in the mist of Kandivali (E). 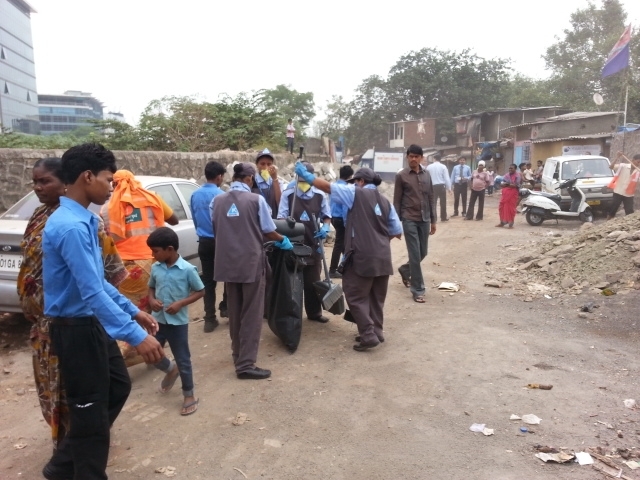 We had few of our employees and their families residing in the area who had to experience the trauma. 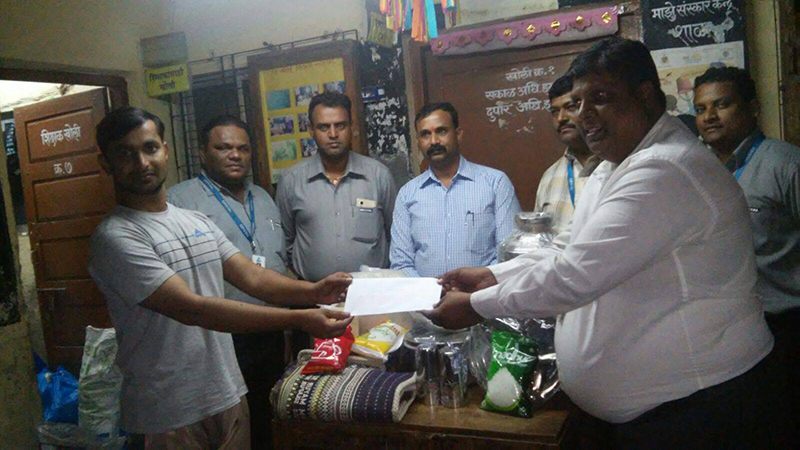 Krystal Group of Companies fostering the family culture extended security and relief to the families of the affected providing them the much needed support at the time of crisis. 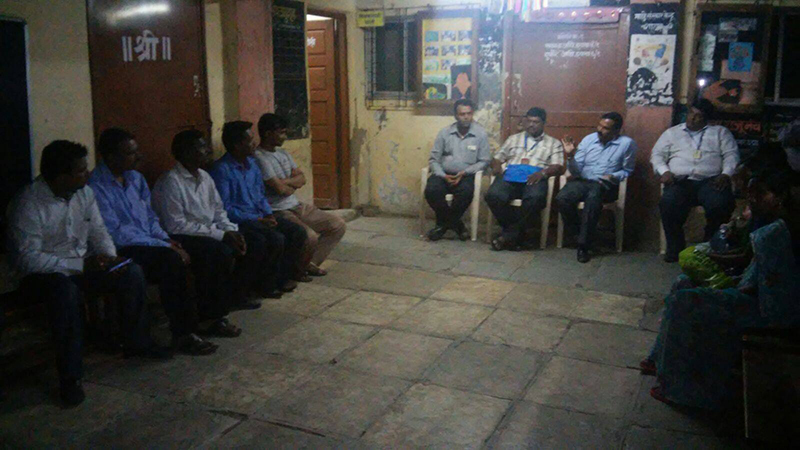 We continue to believe in Secure & Support. 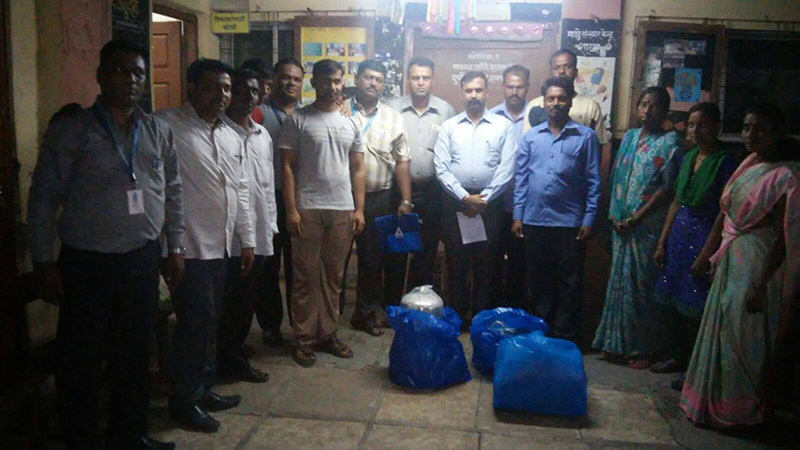 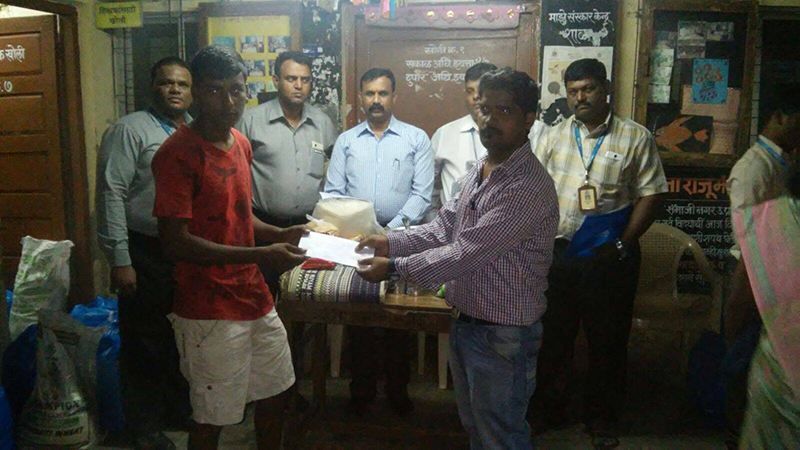 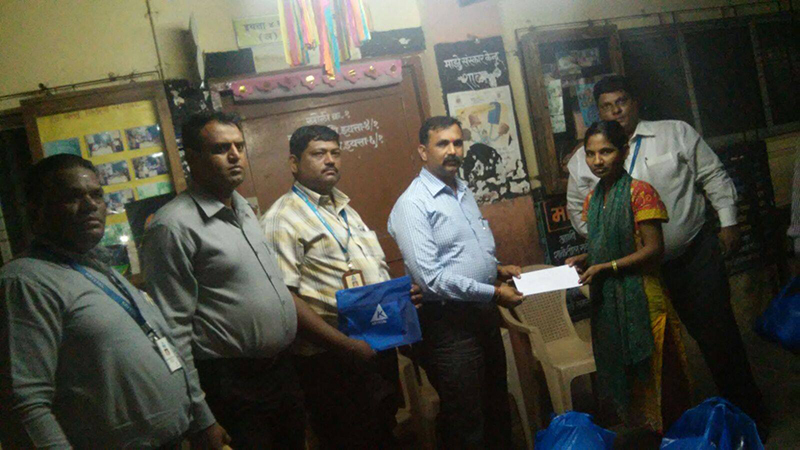 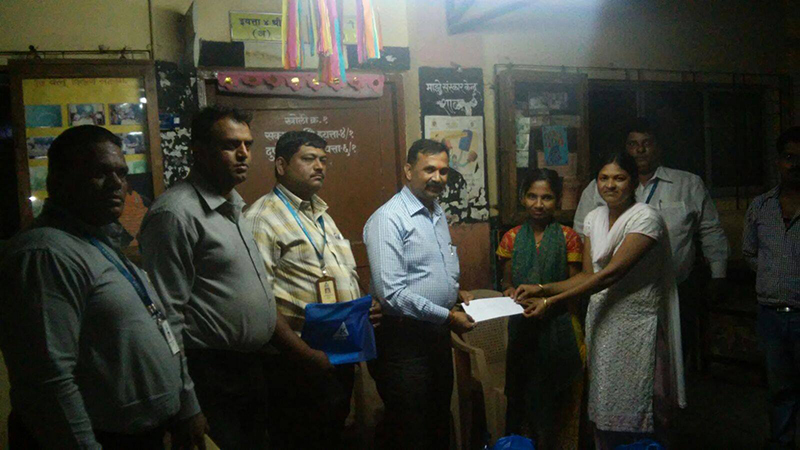 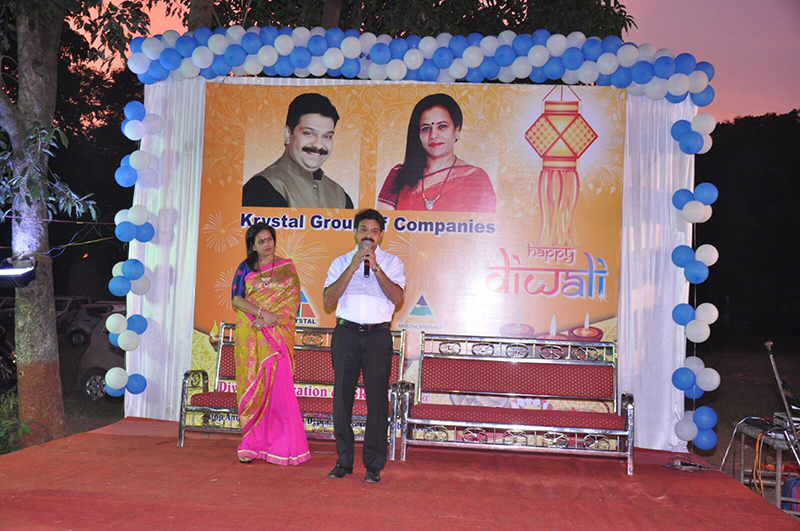 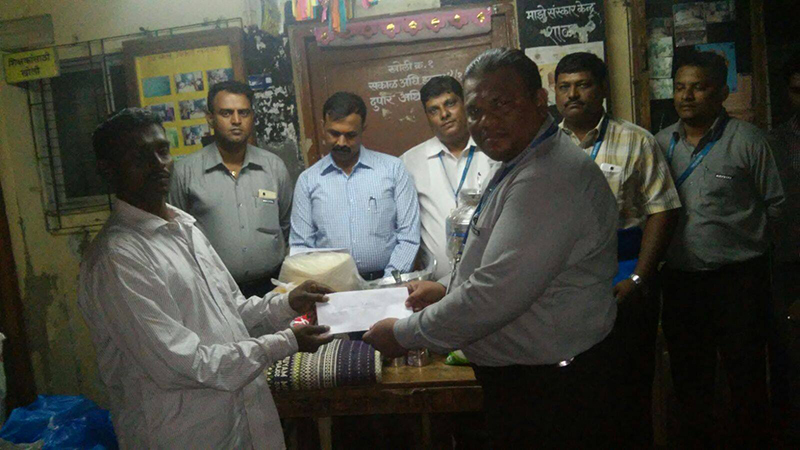 Krystal Group of Companies & Prasad Lad Foundation organized & celebrated Diwali on 9th November 2015 at Chembur Children’s Home in Mumbai . 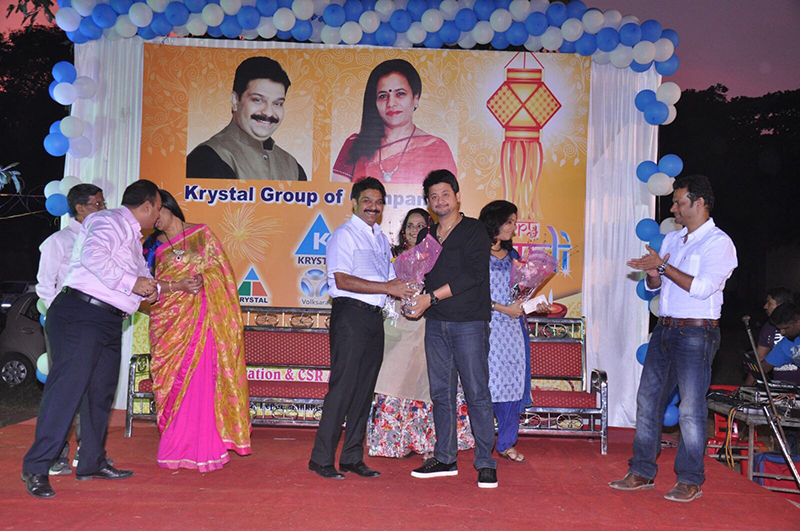 These activities are the caring hands that Krystal Group & Prasad Lad Foundation extends to disadvantaged & needy children. 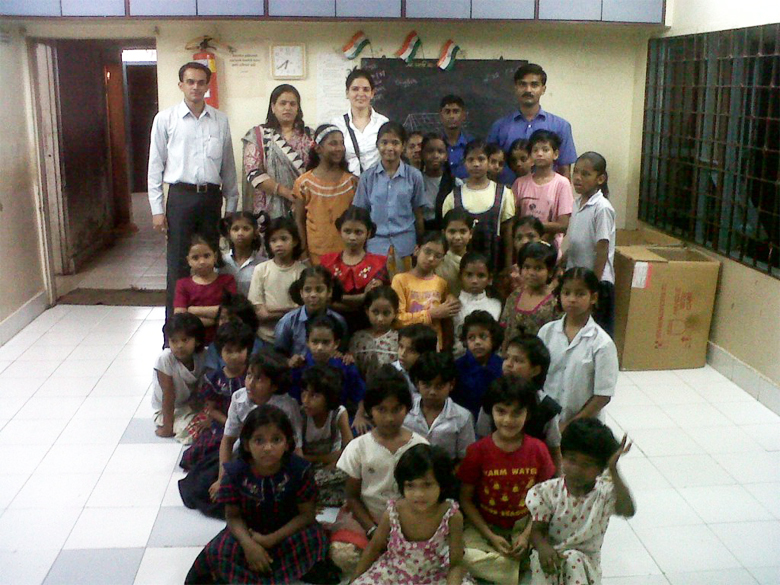 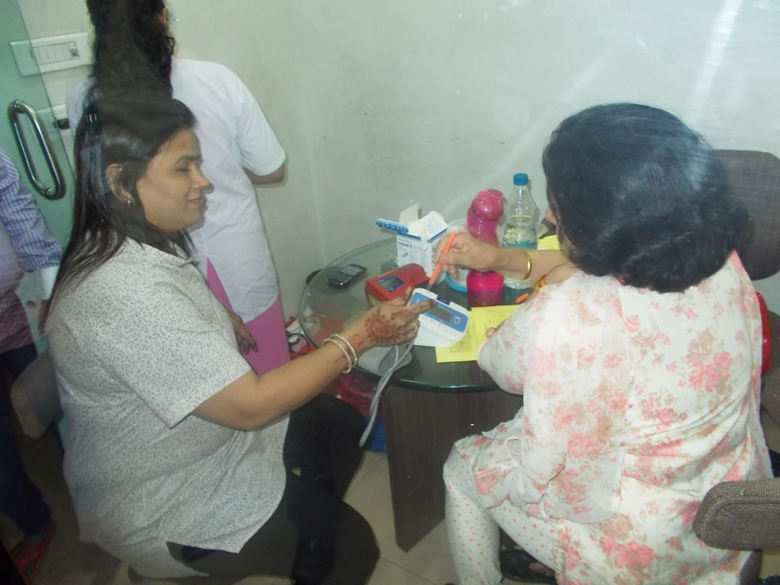 For us, volunteering time and expertise to assist children, and the needy is a crucial component of our own identity. 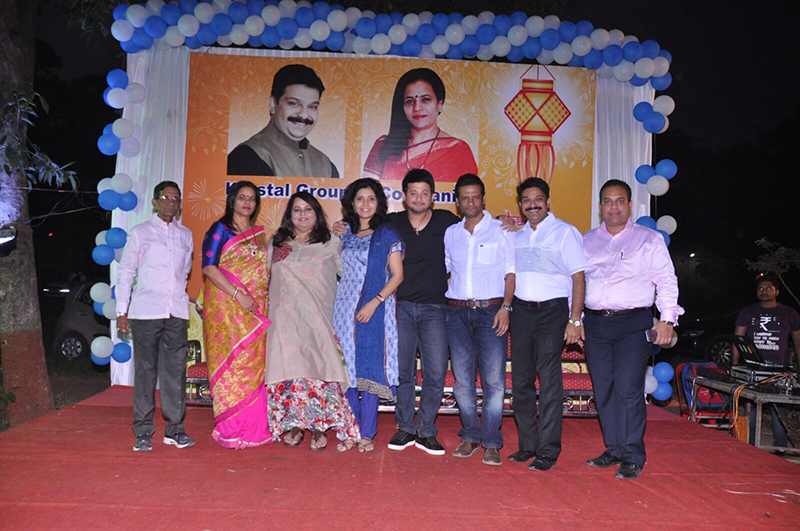 Marathi film actors Nirmiti Tai Sawant and core team of movie- “Mumbai Pune Mumbai -2”viz. 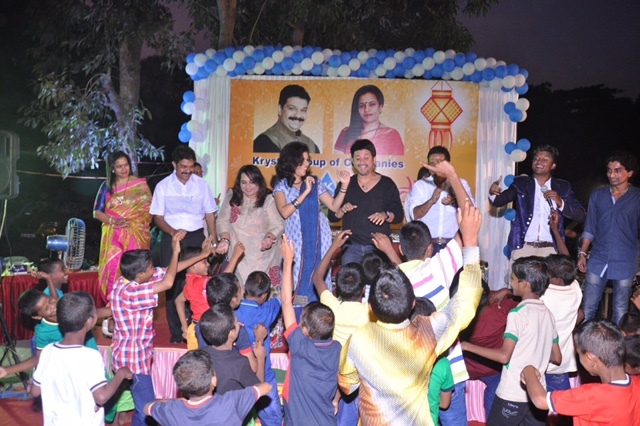 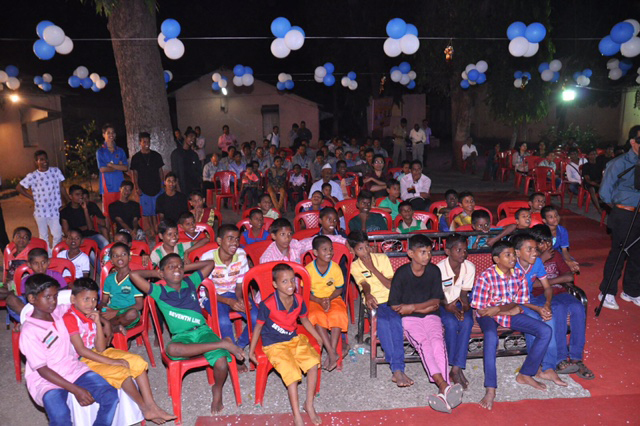 Swapnil Joshi , Mukta Barve and Director Satish Rajwade came together to celebrate diwali with these special children. 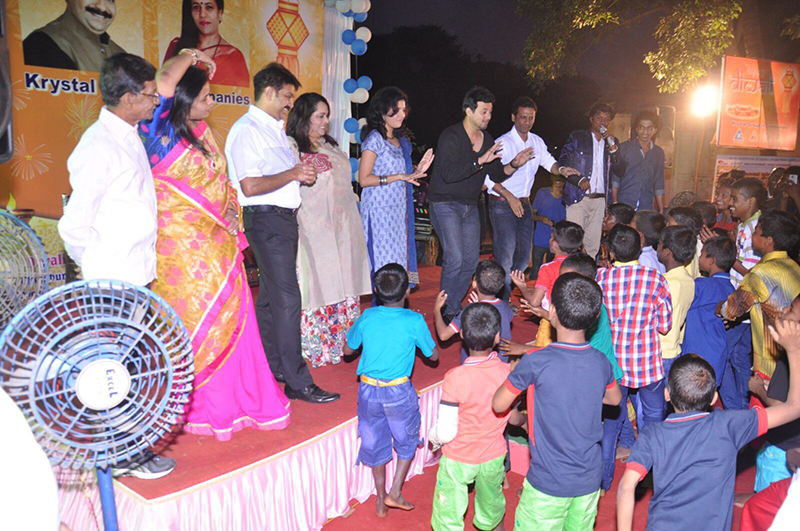 We thank to all of us who joined this wonderful celebration to make this evening remarkable & special thanks to Media ,NGO of Chembur Children Home (Staff & Management) to make this event successful. 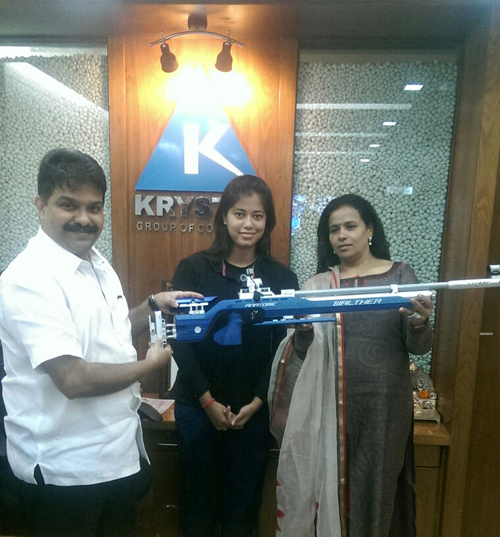 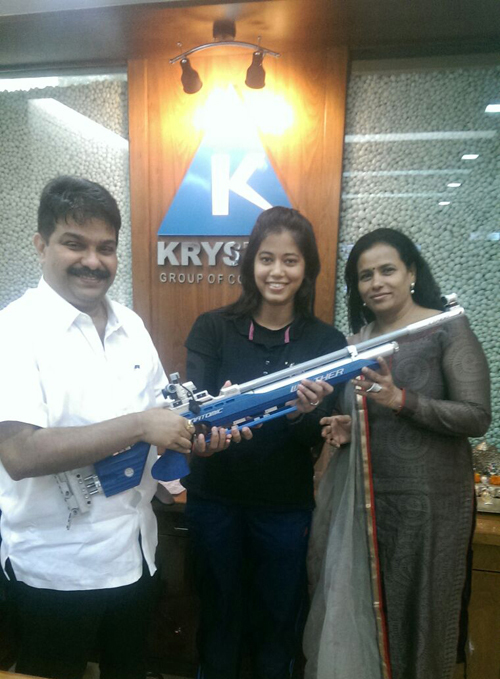 Shooting Rifle raising star Kajal Khot a National Level Shooter who plays from Swarantraveer Savarkar Rashtriya smarak, Mumbai was sponsored a shooting rifle under the CSR activity of Krystal Group of Companies. 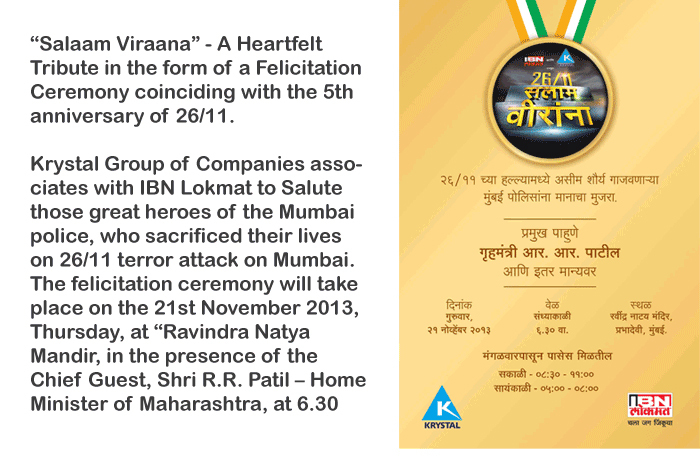 Best wishes for making India proud on you. 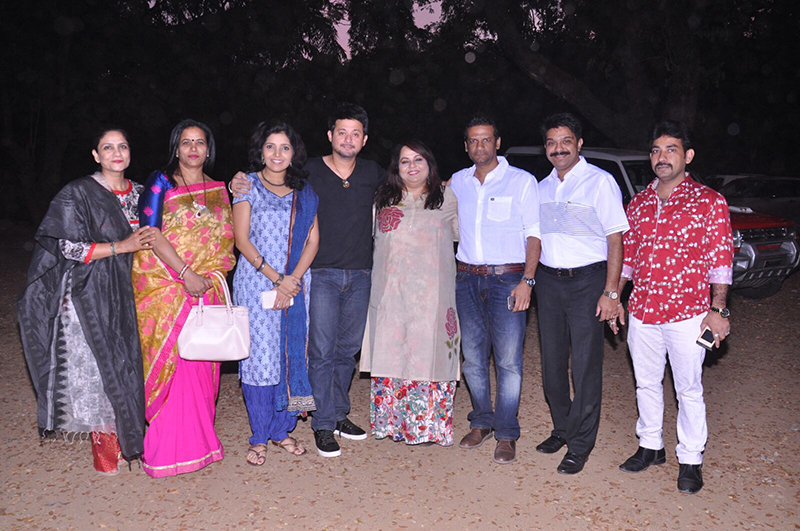 -Neeta and Prasad Lad. 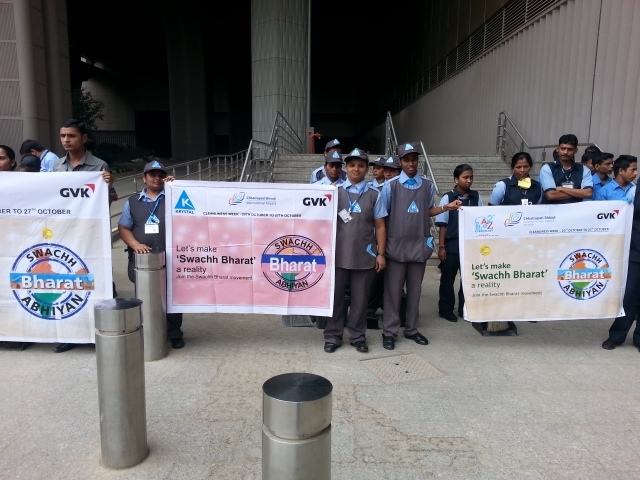 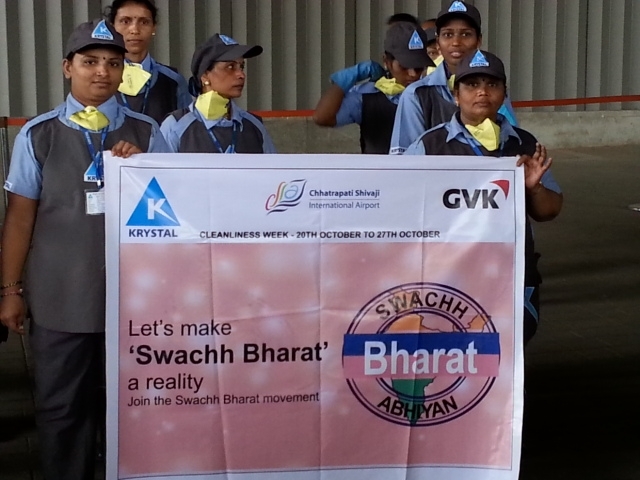 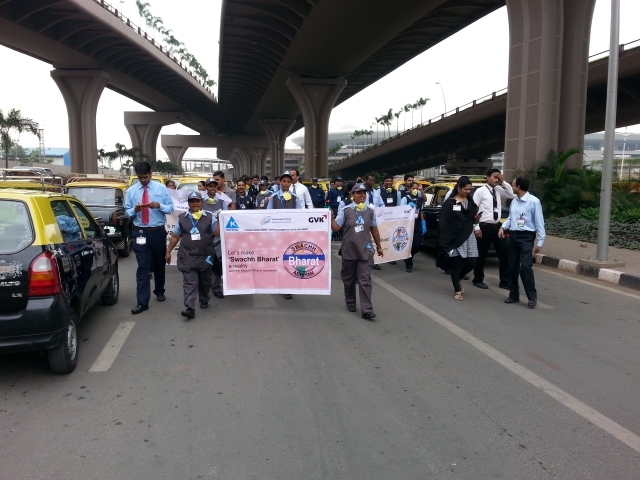 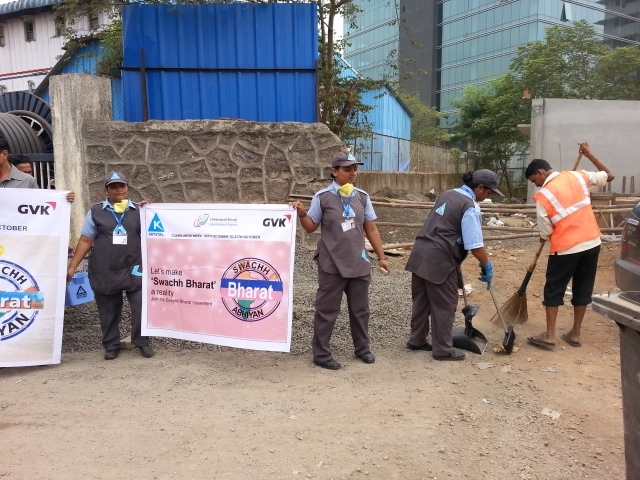 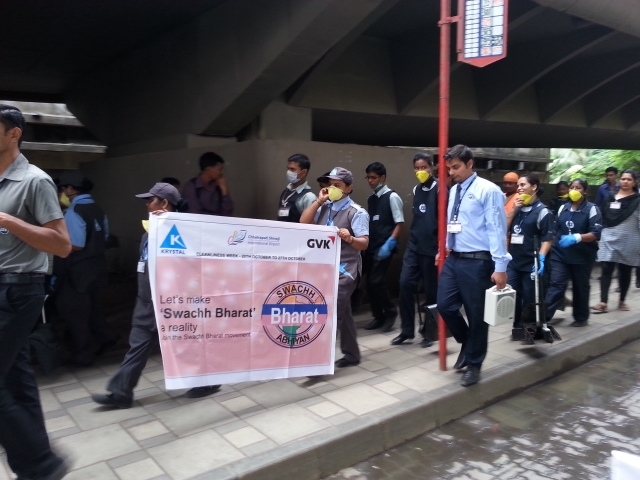 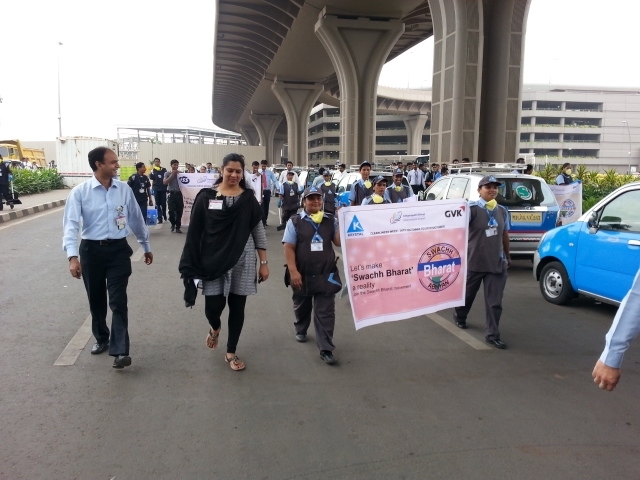 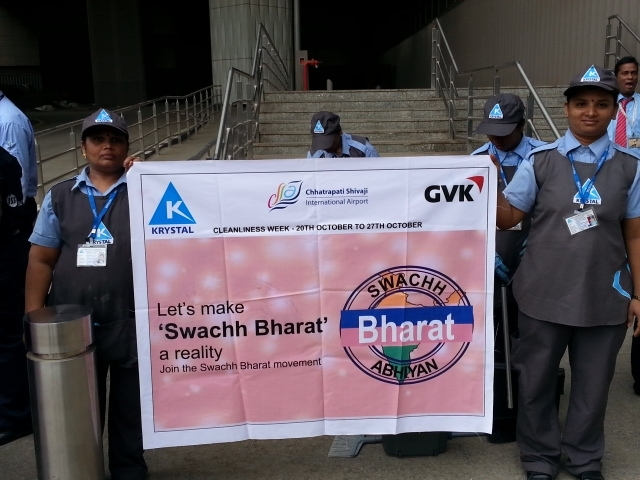 Krystal Group of Companies initiated a Cleanliness Week with GVK at CSIA ,As part of our goal and vision of our Honorable Prime Minister Shri. 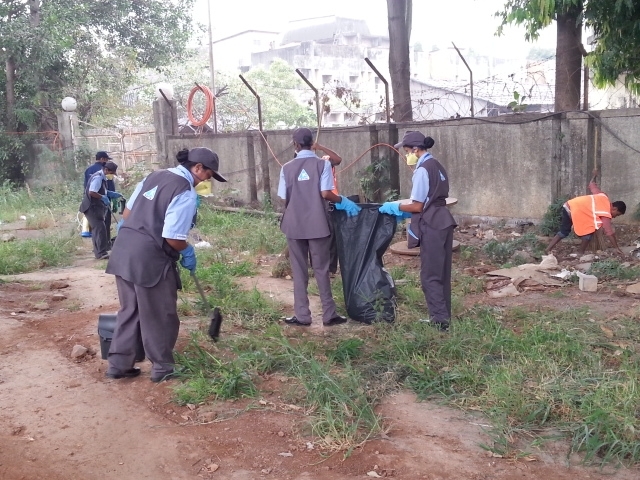 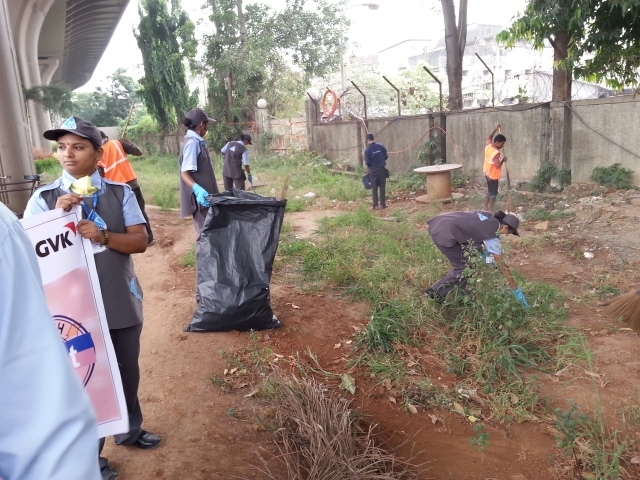 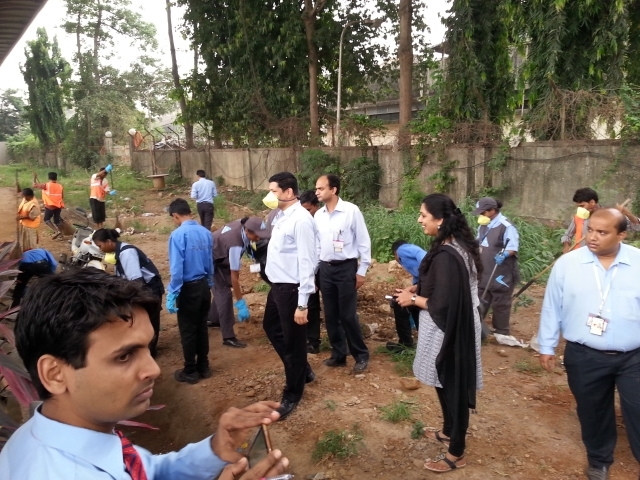 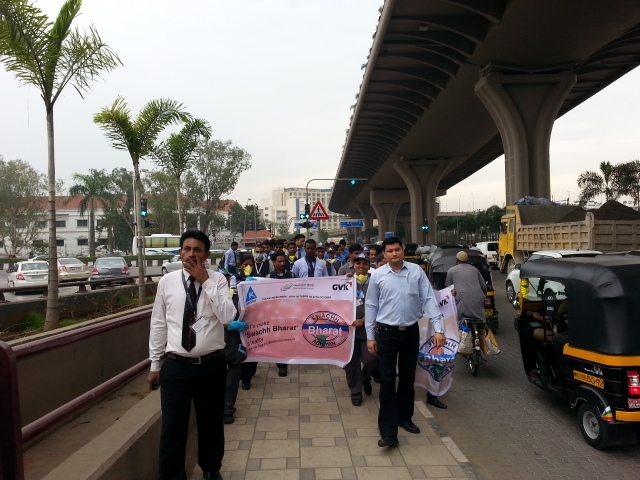 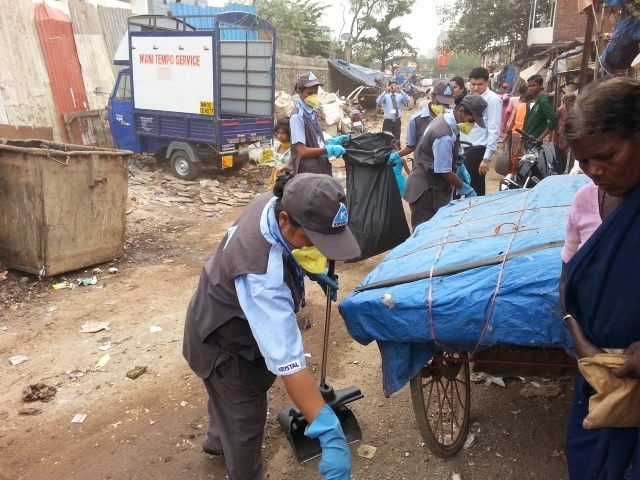 Narendra Modi this cleanliness week was conducted from 20th October to 27th October ’14.